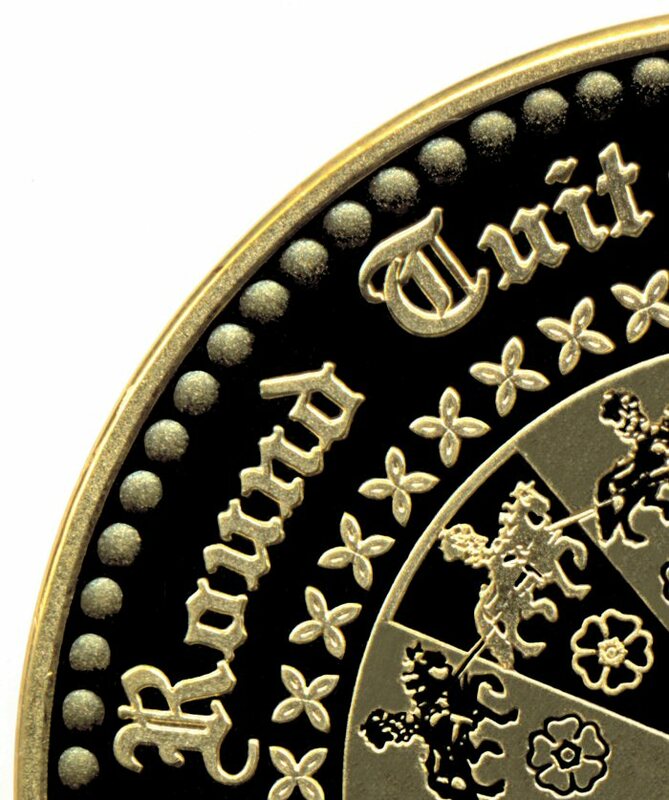 The original Arthurian Round Tuit gold medallions were almost identical in size to the replica brass versions that have been minted. Of the 12 gold medallions originally minted, only two are known to survive to this day. The outer rim of the Arthurian Round Tuit contains four occurrences of the words 'Round Tuit'. Although this wording is now associated with a play on 'around to it', this was also another name for the round table around which the twelve nights met. 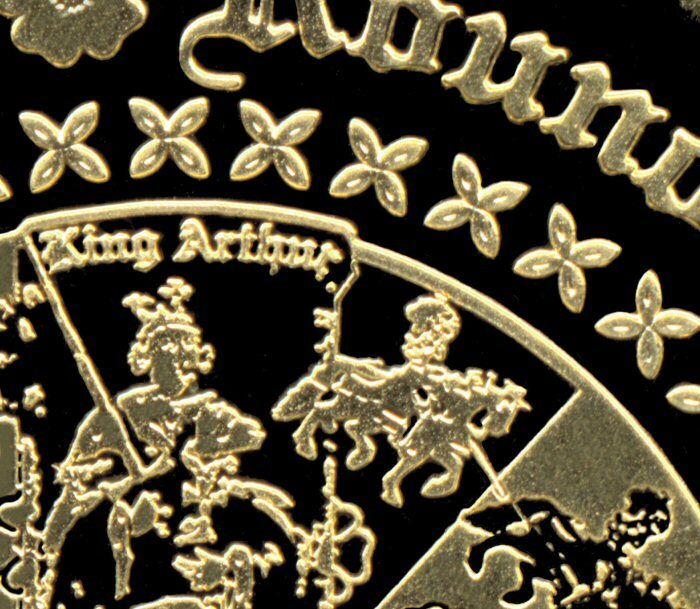 Moving further inside the design, we can see an image of King Arthur himself, with the words 'King Arthur above his head). The detail on the medallion is extremely impressive. 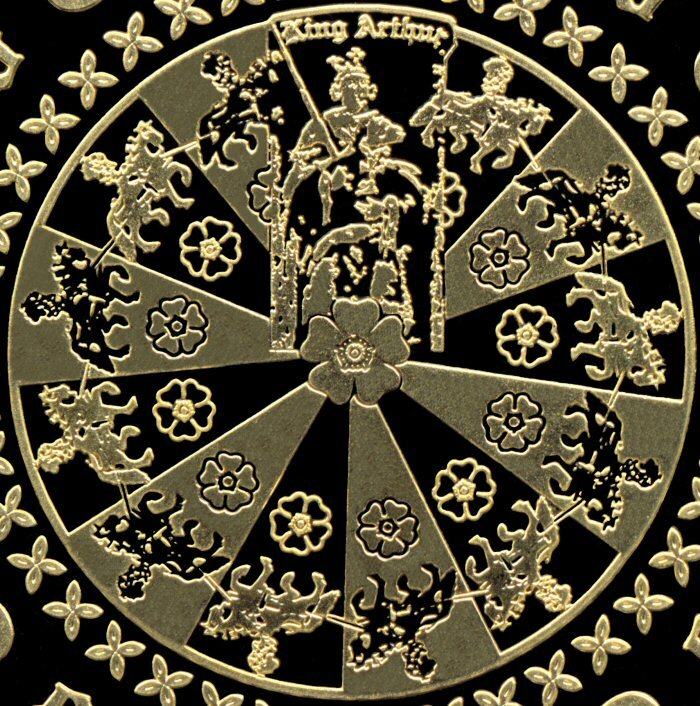 The whole of the inner portion of the design shows King Arthur and his twelve knights around the 'Round Tuit' (round table), with a central rose and smaller roses in each segment. The alternating raised and embossed segments, and details within, produces a striking effect on the gold (and brass replica) medallions. The best way to see full, detailed, large scale versions of the Round Tuit is to visit our Gifts Page, and purchase one of the Round Tuit products on offer. You can also purchase your own 100% solid, polished brass replica of the Arthurian version of 'Original' Round Tuit.